Ariana Afghan Airlines Co. Ltd. (; ), also known simply as Ariana, is the largest airline of Afghanistan and serves as the country's national carrier. 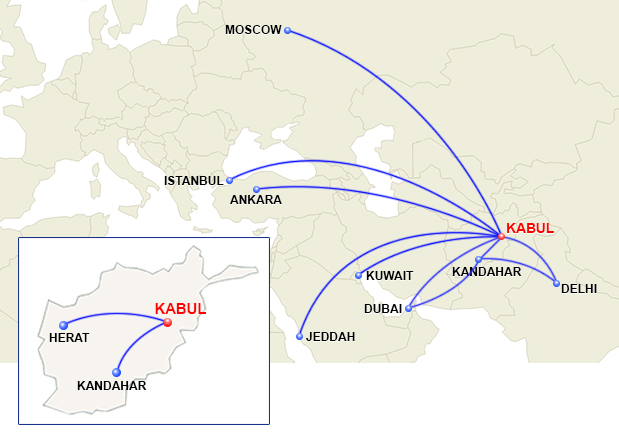 The carrier is headquartered in Shāre Naw, Kabul, and it is wholly owned by the Afghan government. Ariana Afghan Airlines has been on the list of air carriers banned in the European Union .